The wonderfully creative Akram of Akram’s Ideas is joining us today for The Day and Night Dress Challenge, and all I can say is, wow. 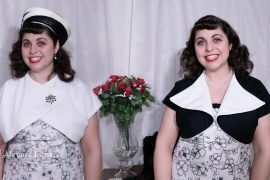 This might be the most fun interpretation of a challenge I’ve ever seen. Hello All, I’m Akram from Akram’s Ideas. If you are familiar at all with Akram’s Ideas you’d know that I’m all about “bringing creative and crazy ideas to life”. So it should be no surprise that when Elizabeth of Elizabeth Made This, asked if I would like to join the “Day and Night Dress Challenge” this year, that I would come up with both a creative and yes very crazy idea. 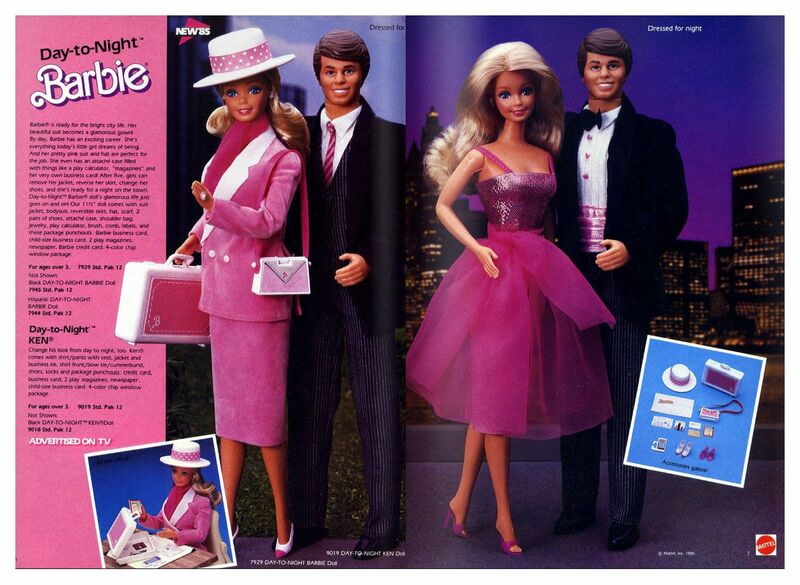 For my 2018 “Day and Night Dress Challenge” I would use 1984 Day and Night Barbie as my inspiration. This was one of my favorite dolls when I was about 3 years old. Barbie had a pink suite for day that would change into a Pink cocktail style dress for evening. Pulling from my Barbie inspiration I knew I wanted to make a pink suit. A bit overdressed for this challenge but since I work at a University I practically live in suits, so for me it’s perfect day attire. While I wanted to use Barbie as my inspiration I didn’t want to copy her dress exactly. Mainly because I knew a 1980’s style double breasted pink suit wouldn’t really look good on me. So instead of copying the doll exactly I used her as inspiration. 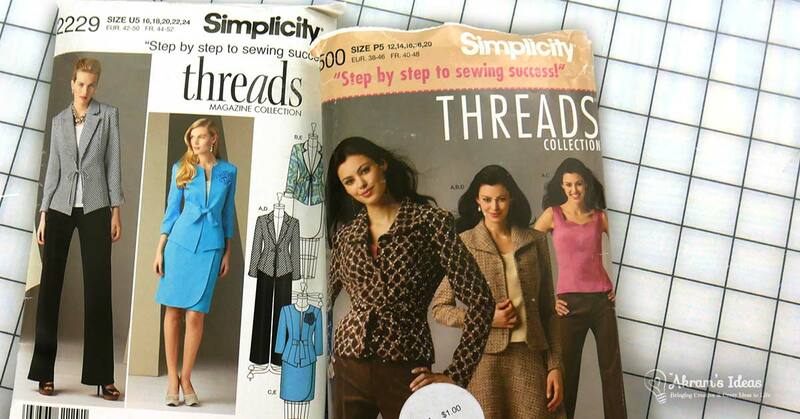 For the suit I used a pale pink dotted textured fabric along with Simplicity 2229 pattern. 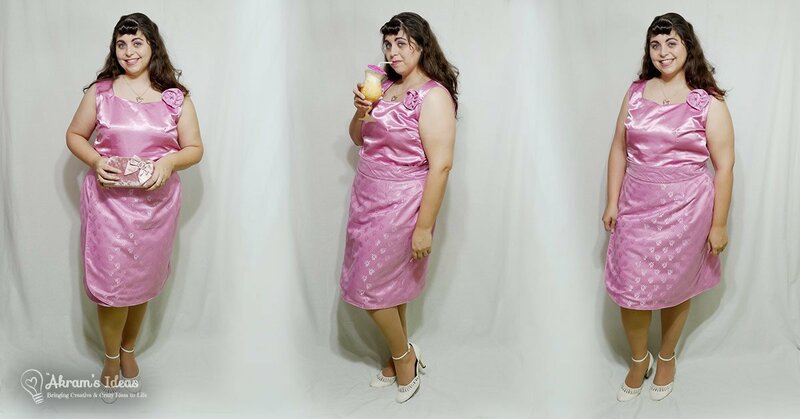 I choose this pattern mainly because the skirt was a wrap skirt in style and I knew I could make a few minor hacks to create a flip around dress effect. For the top I used some pinky purple taffeta that I’ve had in my stash for ever and made a lovely tank with a sweetheart like neckline using Simplicity 4500. I don’t like sparkly fabrics but I thought the shiny taffeta would be perfect alternative to Babribe’s top. Like the Barbie I wanted the skirt to be reversible. And while the idea of a big poofy tulle skirt sounds like a lot of fun, thought of that much tulle on the inside during the day wasn’t ideal. Instead I decided to go with a lace overlay sort of look. 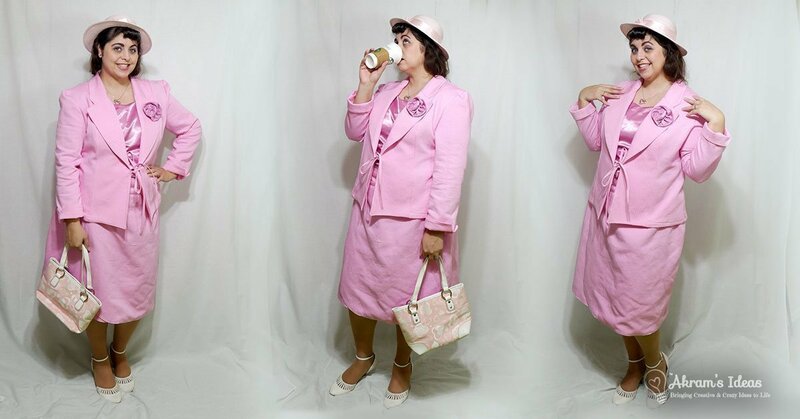 I had in my stash some pink chiffon like fabric with embroidered flowers. This fabric looked amazing on top of the same pink taffeta I used for the top. 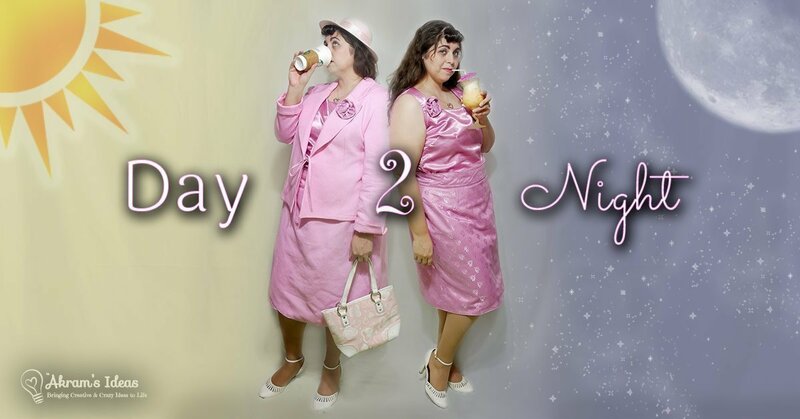 So there you have it my Day and night Dress inspired by Day and Night Barbie. I know it’s a super silly idea, but this is something I’ve always dreamed of having in my wardrobe since I was little kid. I mean who doesn’t want a flip around dress in bright pink? After all Barbie had one, right? I am really happy with how the whole project turned out. If you want a little more information about how this dress was constructed besure to check out my Youtube channel. I LOVE YOUR INSPIRATION FOR THE CHALLENGE! All that pink is right up my alley and you did a marvelous job!!! How cool is that, Barbie as your inspiration ! Great minds think alike! Love it! BTW, I LOVE pink too@!! Love the idea, the inspiration, the pink… the way this 2 dresses coordinate with each other! Terrific job! The dress looks beautiful on you! I think the fit looks great. I love both styles!